I’m not wired for lean. My garage is a disaster, I take too many steps when making coffee in the morning and I have no problem stocking up on paper towels if there’s a sale. Some of this antilean thinking may stem from my early years in a machine shop, where half-day setups and that’s-the-way-we’ve-always-done-it attitudes were the norm. Back then, most shop owners felt that, once the machine was set up, it was best to make 6 months’ worth of parts and put them on the shelf. The customer would eventually buy them. They took a pass on just-in-time for just- in-case, and the only key productivity indicator was who could make it to the lunch truck fastest. Inventory turns took place every few years, when dusty, leftover material was sold to the scrap man. 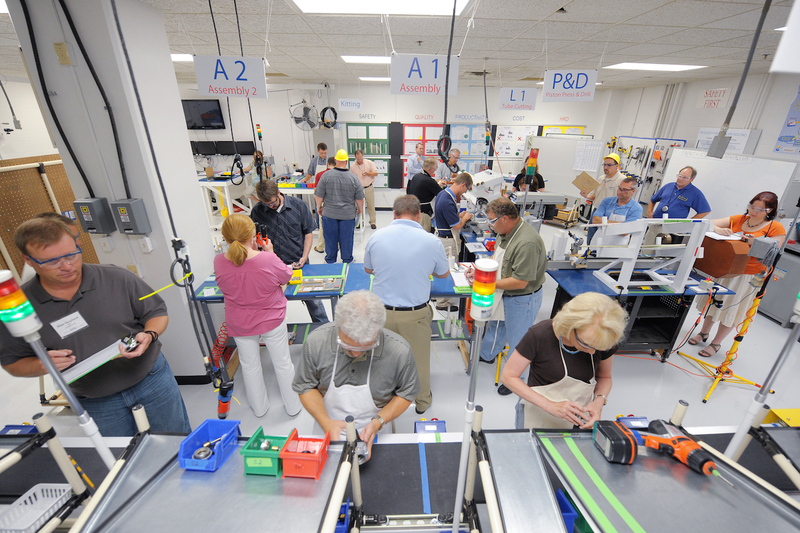 With this in mind, I posted a question on social media: Does lean manufacturing always make sense? After all, many machine shops are too busy getting parts out the door to worry about a bunch of process flow diagrams and whiteboard fantasies. Like yesterday’s shop owners, many feel there’s nothing wrong with building products in advance or buying material in bulk, as long as there’s space in the warehouse and sales orders on the books. Boy, did I get an earful. Consultants galore expostulated on the many reasons why companies should embrace lean. Inventory is the devil. Smaller lot sizes force shops to become more efficient. Messy workplaces impede the elimination of waste. Long setup times cost money and reduce opportunities for productivity improvement. And yes, they said, lean is for everyone, even small shops with only a handful of people—who may see the biggest benefit from lean. Nonetheless, lean benefits manufacturers of all shapes and sizes. Russ Scaffede, an instructor with the University of Michigan’s Lean Program at the College of Engineering, offered the example of a luxury yacht manufacturer in Holland, Mich., that was struggling to get product out the door. This entry was posted in Fabricating, Machining, Shops, People and Places and tagged continuous improvement, cutting tool engineering, lean manufacturing. Bookmark the permalink.